I was arrested and posted bail/bond, what happens now? If you have ever found yourself asking this question, you are not alone. Individuals every day find themselves unexpectedly thrown into the unfamiliar world of criminal defense, whether due to their own actions or the actions of others. In such a stressful situation, not knowing what to expect often creates more anxiety, stress, and fear than the criminal charge and arrest itself. At Pasley & Nuce, we want you to understand the process, know what to expect, and make the right decision in hiring an experienced attorney to help you when you need it most. ARRAIGNMENT: If you have been able to post bail/bond, your next court appearance will be at a designated date, time, and location for your arraignment. Your arraignment will be your first appearance in the designated court handling your actual criminal charge (not to be confused with your first appearance after your initial arrest, which is when your bail/bond amount is set or denied by a magistrate judge). At your arraignment you will be given the opportunity to plead guilty or not guilty, at which time, if you plead not guilty, you will either be given a date for your next court hearing or told to check your mail for your next court date notice. CALENDAR CALL: After arraignment has passed, in most courts (with exceptions for city courts and probate courts, generally), calendar call will be your next court appearance. At calendar call you will be given the opportunity to announce your intention to either take a plea offer or set your final trial date. This is usually your last chance to negotiate a plea offer with the state if that is your intent. After this date, courts will generally not accept negotiated pleas, leaving you at the mercy of the court if you later decide to plead guilty prior to your trial. MOTIONS/TRIAL: Once your announcement is made at trial, and assuming you did not accept a plea deal, the next stage in the criminal process can occur at one or two separate court dates, depending on the court you are in and that particular court’s process. 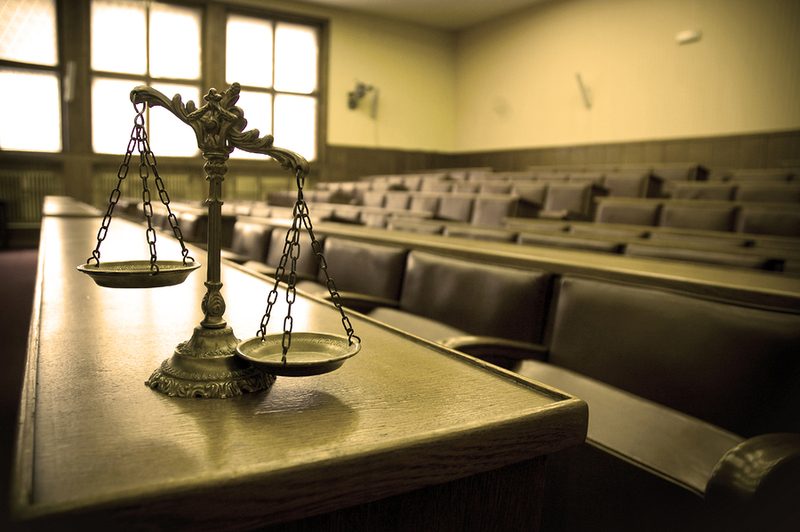 Prior to your trial (whether a bench trial or a jury trial), you may have certain legal arguments that need to be made prior to having the trial—these issues are argued and presented to the court and are termed “motions.” Motions can either be argued to the court on a court date separate and apart from your trial date, or held on the same day, depending on the court you are in at the time. After your motions have been dispensed of, and if the motions do not end in your case being dismissed, you are finally ready for trial. Trials can take place as a bench trial (with the judge deciding guilt or innocence) or a jury trial (with jurors deciding guilt or innocence). No one ever knows the outcome of a case before it happens, no one can make guarantees about a verdict, and no one can tell you how things will end up in any particular case; however, an attorney can tell you what to expect about the process itself to help put you at ease. At the end of the day, just knowing the stages of a criminal case can go a long way in helping you feel at ease. At Pasley & Nuce, we want to make sure you feel as much at ease as possible given the situation, and explaining the process to our clients is one way to do so. With three different locations in Griffin, Barnesville, and Thomaston, Pasley & Nuce has years of experience defending criminal cases throughout Georgia, from municipal court and probate court to state court and superior court. If you or a loved one find themselves facing a traffic ticket, DUI, misdemeanor, or felony charge, give us a call for a free consultation to discuss your case. At Pasley & Nuce, we’re here to help when you need it most. Adoptions are often described by attorneys as the happiest part of practicing law, and we agree. Adoptions allow families to be built, children to prosper, and lifelong bonds to develop. While often joyous and happy occasions, the process for a legal adoption can be tedious, confusing, and difficult to interpret and maneuver on you own. That is where Pasley & Nuce comes in. Adoptions can take on many varieties, including private family-member adoptions, private step-parent adoptions, agency adoptions, and out-of-state adoptions. Knowing the right type of adoption to pursue, the legal technicalities involved in the specific process, and the ramifications if an adoption is not properly conducted are essential to ensuring that your adoption takes place without a worry or care. At Pasley & Nuce, LLC, we have years of experience handling adoptions in conjunction with the legal requirements of the O.C.G.A. (Official Code of Georgia Annotated) and the I.C.P.C. (Interstate Compact on the Placement of Children). Whether you are looking to adopt, you known someone who is interested in adoption, or you are contemplating adoption down the road, give us a call today to discuss your case. Conveniently located in Griffin, Barnesville, and Thomaston, Georgia, Pasley & Nuce is here to help when you need it most! Having a hard time getting that dream job because of a past arrest on your record that was actually dismissed? Are you missing out on opportunities because you are being judged on your arrest record? If you have found yourself answering yes to these questions, you may be eligible to have your criminal history restricted. ‘restriction’ means that the criminal history record information of an individual relating to a particular charge shall be available only to judicial officials and criminal justice agencies for law enforcement or criminal investigative purposes or to criminal justice agencies for purposes of employment in accordance with procedures established by the center and shall not be disclosed or otherwise made available to any private persons or businesses pursuant to Code Section 35-3-34. Under this amended statute, the law now distinguishes between arrests that occurred prior to July 1, 2013, and arrests occurring after July 1, 2013, so be sure to know the basics before pursuing this on your own. That is where we come in to help. Whether you are looking for a new job or applying for college, restricting your criminal arrest record can often be the difference between your dream job or college and an unfortunate let down. Give us a call today and let us guide you through this process. With three different office locations in Griffin, Barnesville, and Thomaston, Georgia, we are conveniently located in your local area for in-person consultations or consultations over the phone. At Pasley & Nuce, LLC, we’re here to help when you need it most. To amend Article 2 of Chapter 3 of Title 3 of the Official Code of Georgia Annotated, relating to prohibited acts regarding the regulation of alcoholic beverages generally, so as to repeal certain provisions for driver’s license suspensions not directly related to traffic safety; to amend Article 1 of Chapter 11 of Title 19 of the Official Code of Georgia Annotated, relating to the Child Support Recovery Act, so as to require certain notifications to delinquent obligors; to amend Chapter 2 of Title 20 of the Official Code of Georgia Annotated, relating to elementary and secondary education, so as to revise certain reporting requirements by the Department of Education to the Department of Driver Services; to amend Title 40 of the Official Code of Georgia Annotated, relating to motor vehicles and traffic, so as to revise provisions regarding licensing for the operation of motor vehicles and the operation of motor vehicles; to provide for applicability with current federal regulations in the safe operations of motor carriers and commercial motor vehicles; to provide for definitions; to provide for registration and regulation of for-hire intrastate motor carriers and intrastate motor carriers; to provide for the dissemination of certain information by the Department of Driver Services; to provide for participation in an anatomical gift donation program when obtaining a personal identification card through the department; to provide for the designation of such participation on personal identification cards; to provide for the dissemination of identifying information for applicants making such election; to repeal certain provisions for driver’s license suspensions not directly related to traffic safety; to provide for a waiver of the application fee for instruction permits in certain instances; to provide for legislative findings; to provide for the use of paper eye charts for the testing of noncommercial driver’s vision; to provide for the issuance of limited driving permits to noncommercial drivers in certain instances; to change provisions relating to a plea of nolo contendere; to prohibit the offering of items of monetary value for the enrollment of students by any driver improvement clinic or DUI Alcohol or Drug Use Risk Reduction Program licensed by the department; to allow photographs on drivers’ licenses and identification cards to be in black and white; to provide for the conditions under which limited driving permits shall be issued; to allow photographs on drivers’ licenses and identification cards to be in black and white; to provide for related matters; to provide for effective dates and applicability; to repeal conflicting laws; and for other purposes. (iv) Attending regularly scheduled sessions or meetings of support organizations for persons who have addiction or abuse problems related to alcohol or other drugs, which organizations are recognized by the commissioner. Any permittee who is convicted of violating any state law or local ordinance relating to the movement of vehicles or any permittee who is convicted of violating the conditions endorsed on his or her permit shall have his or her permit revoked by the department. Any court in which such conviction is had shall require the permittee to surrender the permit to the court, and the court shall forward it to the department within ten days after the conviction, with a copy of the conviction. Any person whose limited driving permit has been revoked shall not be eligible to apply for a driver’s license until six months from the date such permit was surrendered to the department. At the end of five years from the date on which the license was suspended, the person may apply to the department for reinstatement of his or her driver’s license by submitting proof of completion of a DUI Alcohol or Drug Use Risk Reduction Program and paying to the department a restoration fee of $410.00 or $400.00 when such reinstatement is processed by mail. For purposes of this paragraph, a plea of nolo contendere and all previous pleas of nolo contendere within such five-year period of time shall constitute a conviction. (a.1) Any permittee who is convicted of violating any state law or local ordinance relating to the movement of vehicles or any permittee who is convicted of violating the conditions endorsed on his or her permit shall have his or her permit revoked by the department. Any court in which such conviction is had shall require the permittee to surrender the permit to the court, and the court shall forward it to the department within ten days after the conviction, with a copy of the conviction. Any person whose limited driving permit has been revoked shall not be eligible to apply for a driver’s license until six months from the date such permit was surrendered to the department. (b) Except as provided in Code Section 40-5-76, whenever a person is convicted of possession, distribution, manufacture, cultivation, sale, transfer of, the attempt or conspiracy to possess, distribute, manufacture, cultivate, sell, or transfer a controlled substance or marijuana, or driving or being in actual physical control of any moving vehicle while under the influence of such substance a controlled substance or marijuana in violation of subsection (b) of Code Section 16-13-2, subsection (a), (b), or (j) of Code Section 16-13-30, or Code Section 16-13-33; paragraph (2), (4), or (6) of subsection (a) of Code Section 40-6-391 ; or the law of any other jurisdiction, the court in which such conviction is had shall require the surrender to it of any driver’s license then held by the person so convicted, and the court shall thereupon forward such license and a copy of its order to the department within ten days after the conviction. The periods of suspension provided for in this Code section shall begin on the date of surrender of the driver’s license or on the date that the department processes the conviction or citation, whichever shall first occur. (c)(1) The decision to accept a plea of nolo contendere to a misdemeanor charge of unlawful possession of less than one ounce of marijuana shall be at the sole discretion of the judge. If a plea of nolo contendere is accepted as provided in this subsection, the judge shall, as a part of the disposition of the case, order the defendant to attend and complete a DUI Alcohol or Drug Use Risk Reduction Program. The order shall stipulate that the defendant shall complete such program within 120 days and that the defendant shall submit evidence of such completion to the department. The judge shall also notify the defendant that, if he or she fails to complete such program by the date specified in the court’s order, his or her driver’s license shall be suspended, by operation of law, as provided in this Code section. The record of the disposition of the case shall be forwarded to the department. (2) If a plea of nolo contendere is accepted and the defendant’s driver’s license has not been suspended under any other provision of this title and if the defendant has not been convicted of or has not had a plea of nolo contendere accepted to a charge of violating this Code section within the previous five years, the court shall, subject to paragraph (1) of this subsection, return the driver’s license to the person; otherwise, such driver’s license shall be forwarded to the department. (d) (c) Application for reinstatement of a driver’s license under paragraph (1) or (2) of subsection (a) of this Code section shall be made on such forms as the commissioner may prescribe and shall be accompanied by proof of completion of a DUI Alcohol or Drug Use Risk Reduction Program and a restoration fee of $210.00 or $200.00 when such reinstatement is processed by mail. Application for a three-year driving permit under paragraph (3) of subsection (a) of this Code section shall be made on such form as the commissioner may prescribe and shall be accompanied by proof of completion of an approved residential drug treatment program and a fee of $25.00 for such permit. (e) (d) Notwithstanding any other provision of this Code section or any other provision of this chapter, any person whose license is suspended pursuant to this Code section shall not be eligible for early reinstatement of his or her license and shall not be eligible for a limited driving permit, but such person’s license shall be reinstated only as provided in this Code section or Code Section 40-5-76. (f) (e) Except as provided in subsection (a) of this Code section, it shall be unlawful for any person to operate any motor vehicle in this state after such person’s license has been suspended pursuant to this Code section if such person has not thereafter obtained a valid license. Any person who is convicted of operating a motor vehicle before the department has reinstated such person’s license or issued such person a three-year driving permit shall be punished by a fine of not less than $750.00 nor more than $5,000.00 or by imprisonment in the penitentiary for not more than 12 months, or both. (g) Notwithstanding the provisions of Code Section 15-11-606 and except as provided in subsection (c) of this Code section, an adjudication of a minor child as a delinquent child for any offense listed in subsection (a) of this Code section shall be deemed a conviction for purposes of this Code section. (h) (f) Licensed Notwithstanding the provisions of subsection (a) of this Code section, licensed drivers who are 16 years of age who are adjudicated in a juvenile court pursuant to this Code section may, at their option, complete a DUI Alcohol or Drug Use Risk Reduction Program or an assessment and intervention program approved by the juvenile court. Section 4-9 of Part IV of this Act shall become effective on January 1, 2016, and all other parts of this Act shall become effective on July 1, 2015, and shall apply to offenses which occur on or after that date. S.B. 100, 2015-2016 Reg. Sess. (Ga. 2015). The attorneys at Pasley & Nuce, LLC have the compassion and trial lawyer skills to tell your story to a jury. We will get to know you and your family so that we can help the jury understand what has happened to you and your family and how it has changed your lives. I am very blessed to have Adam and his team work hard for me in this accident case. I would let anyone know about this firm and recommend them. Thanks for taking care of me. When my wife and I decided that divorce was our only option…I literally didn’t know what to do. I hired Chad Nuce…honestly that was the best decision I’ve ever made. Especially for something so important. He was extremely careful to make sure that everything he did was in my best interest. I would definitely recommend him to anyone! !